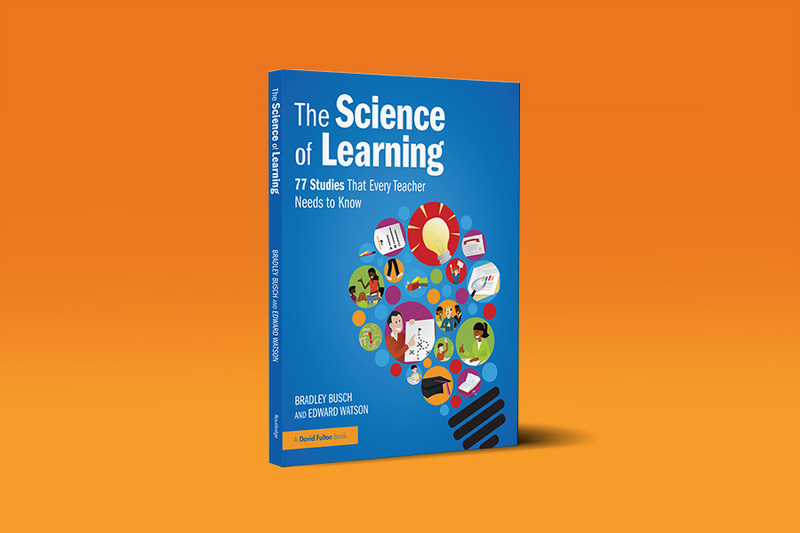 Our second book, The Science of Learning: 77 studies that every teacher needs to know, comes out on the 1st May 2019. So, what can you expect to find in there? The Science of Learning is a much-needed resource for primary and secondary teachers to help their students improve how they think, feel and behave at school. This book allows teachers, across all subjects, to help children learn – through scientifically tested techniques. Focusing on six key categories (Memory, Self-regulation and Metacognition, Teacher Attitude, Behaviour and Expectations, Student Behaviours and Thinking Biases), the studies in this book have been brought together in a widely accessible format for the first time to empower teachers with the best research to support their work. Sounds good? Click the button below to pre-order your copy of our book - it would make our day. And if you're looking for our award-winning first book Release Your Inner Drive, that would be more helpful for students, click here. "Like me, I trust you will enjoy reading, dipping into, thinking about, following up, questioning, asking for more – as you touch this book. This is my ‘book of the decade”." "This is the book I have been waiting for. Whether you are just beginning as a teacher, or a seasoned veteran, there will be something here that will be directly relevant to your practice, and, perhaps more importantly, will make you think." "This book will prove irresistible to anyone keen to understand more about essential educational research findings in the most accessible manner possible. An absolute must for every school." "The Science of Learning is a timely and precious gift to teachers. Interpreting research accurately and applying it intelligently are not easy tasks. This book has made them far easier. Every teacher should be given a copy." "Busch and Watson have come up with that rarity: an educational must-read. I will be recommending it to every teacher I know!" "This book is a highly practicable guide to the often impenetrable field of education research and is a very useful compass for school leaders, classroom teachers and parents alike in seeking which evidence based strategies to implement."